Doesn’t work well on iPad (as of version prior to update 1.3). Vertical view, slow response time, etc. Tried writing customer service with feedback and questions 2 or 3 times, got no response. Disappointed, but will try the update and hope for the best. Will not pay unless improves and hear back from support. I loved this app, but now that the paid, platinum version has been around for a bit, it seems that there is nothing for those of us that can’t afford the cost and just want the free version. I can’t believe I spent $40.00 on absolutely nothing. Just a worthless subscription- please don’t download or subscribe. Doesn’t seem to work for me plus can’t seem to reach anyone there so not sure what to say. Launching a new app that fails to work is not such a good idea. Great for both casual and frequent travelers! I really like this app, makes me want to travel more. It’s such a great idea. But I noticed there are a few design kinks and some things aren’t working (like updating my name) but could be because I use iPhone SE, which is a bit older. 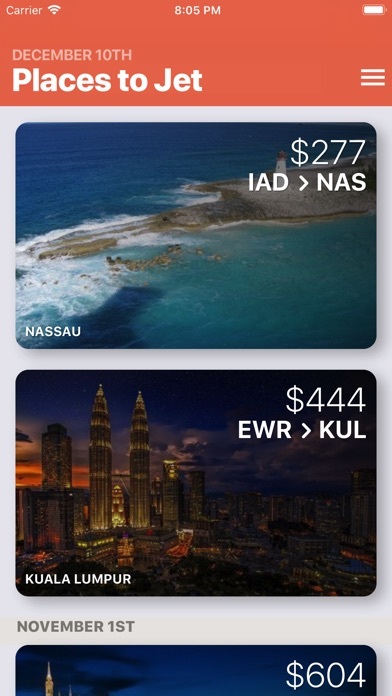 Also, it would be awesome if there were airports listed from other countries as well. But other than that, it’s a great app and I hope I can get some good deals soon! What a beautiful and intuitive interface. Just downloaded and I already love what I see. Looking forward to scoring a deal with this app. Thanks Trav and team! 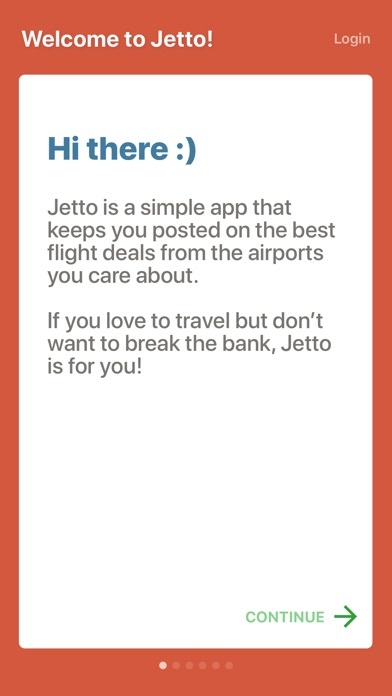 As someone that take 100+ flights a year, Jetto makes my life easy and fun! 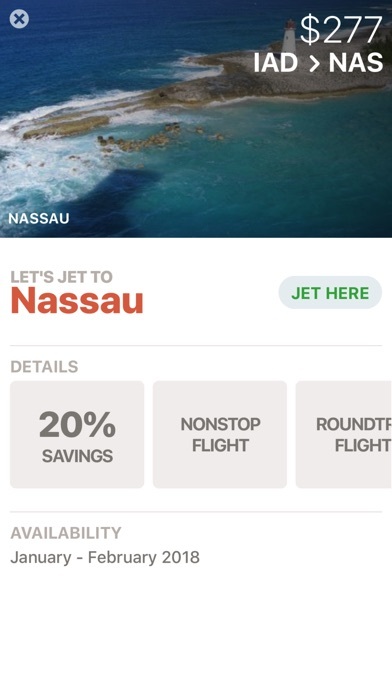 I love the constant notifications on flight deals, even if I can’t take them it gets me excited at the possibility. Jetto is like the little travel devil on my shoulder whispering in my ear.... This app is super easy to use, clean, and it gets the job done. No unnecessary bells and whistles.